Grew up with Crvena Zvezda Belgrade (Serbia) juniors. Signed for the 2013-14 season by FMP Zeleznik. Played there also the 2014-15 championship. Signed for the 2015-16 season by Crvena Zvezda Belgrade. Played there also the 2016-17 championship. 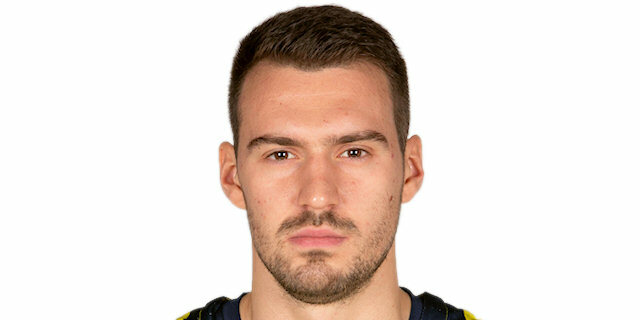 Moved to Turkey for the 2017-18 season, signed by Fenerbahce Istanbul. Won the 2015-16 and 2016-17 Serbian National Championship with Crvena Zvezda Belgrade. Won the 2017-18 Turkish National Championship with Fenerbahce Istanbul. Won the 2017 Serbian National Cup with Crvena Zvezda Belgrade. Won the 2019 Turkish National Cup with Fenerbahce Istanbul. Won the 2016 and 2017 Adriatic League with Crvena Zvezda Belgrade. Has been member of the Serbian U-16 and U-20 National Team. Won the gold medal at the 2015 European U-20 Championship. Played at the 2011 European U-16 Championship.